The Carrom Signature Foosball Table is a lower cost recreational table that is well built enough to provide many hours of recreational play. It is not on the professional level, and is not priced in that way either. It does have some advanced bearings available that allow for advanced play. This is a solid mid-tier table. It is one of the better tables built by Carrom. It’s playing surface is a little more than a third of an inch thick, and utilizes five-eights inch chrome bars, so it is sturdy enough to handle a lot of recreational type play. 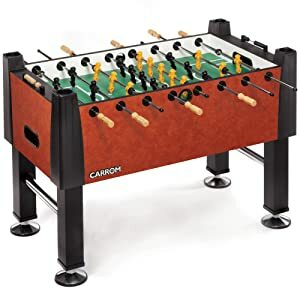 This table looks like a classic foosball table you might see at a recreation center, but it still looks nice enough for your home. It has levelers for the legs, and is made of pressed wood or particle board, but it is still of good quality. There are some options available as far as color and types of external surfaces you may order with this game. Surface – A wide playing surface at 36 inches. It is 55 inches long and 29 inches deep. Bearings – Pro style bearings available make the game more fast paced. Handles – Handles made of hardwood are easy to handle and offer a good grip. Strategy – The players are counter balanced. and you may choose between having one and three goalies, depending on the setup you chose. Colors – Available in different finishes. The basic finish is stained wood which is a color called Moroccan, or black Marble. There is also standard and snow camo style, and tree patterns available. The game – There are end ball returns on both sides of the table. Manual wood bead scoring in black and white. Legs are adjustable for levelness but not for height. Cost – This is a nice game that is not real expensive. it is not a professional level table, but it is good, and the cost is in keeping with that idea. Design – It is a solid game. it looks like most plain foosball games, and it is sturdy enough to handle a lot of recreational play. Surface – Slightly wider playing surface than many games makes it a bit different, and gives more options for pay and strategy. Goalies – The different options for goalies is a nice addition. Counterbalance – The players are counter balanced, so the players stay where you put them, which affects your strategy. It is a matter of personal preference, but most people do prefer to have the counter balance. Feet – The players have wide feet like you would find on tournament level tables. This is a nice touch as it makes the play more accurate and you have more control. Assembly – Like many foosball games, you have to put it together. The weight of some of the pieces means you will need two people. The instructions could be better and more intuitive, and it is a tedious process. Balls – Even though the game is basically good quality, the balls provided are not. They wear out and you will have to get new ones. Bearings – This is both good and bad. The professional type bearings available do give you options for play, but the quality is not there at al times. There is a lack of smoothness that you expect from a high quality. Dead spots – There are some areas on the playing surface, in some games, that have dead spots. This has been reported by many who have played this game. For the very casual user it might not make much difference, but it is there. 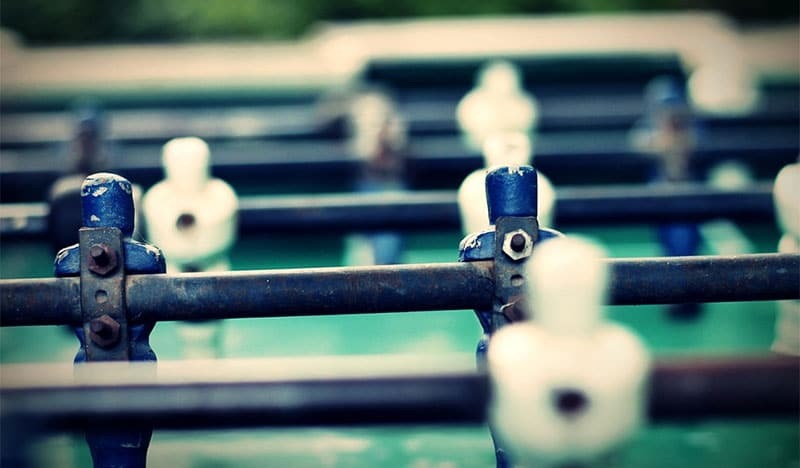 The casual player who wants to have fun with foosball, without taking it all that seriously. It is a solid game for recreational players. It is not for the pros, but it is not at the level of a toy either. Recreational players just in it for fun will have a great time. Professionals probably will not feel this table is up to their standards. 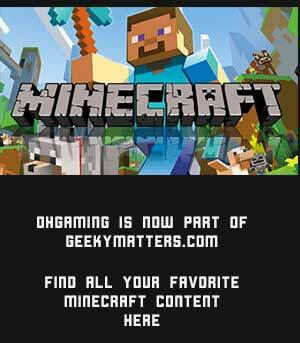 it is great for the casual player, but the more serious player might enjoy something more sophisticated. This is a good table for the casual player. it is good enough to provide hours of great play, and you might even be able to develop some skills here before you move up to better tables. It has some nice qualities that will make the game enjoyable for anyone, regardless of ability or level. It is a lower cost table, but not cheap by any means. It is good quality, but not outstanding quality. The price reflects that. It looks like a classic foosball table. It will not blow you away with a great appearance, but the problem is really its average appearance. If you are not overly concerned about a fancy appearance, this might be a great game for you. Based on the quality of the table itself, and the price, it seems like a good deal for casual player or a solid addition to a game room. It is not a professional game, and if you are not expecting that, you will find the table very serviceable for the casual user in any family game room.